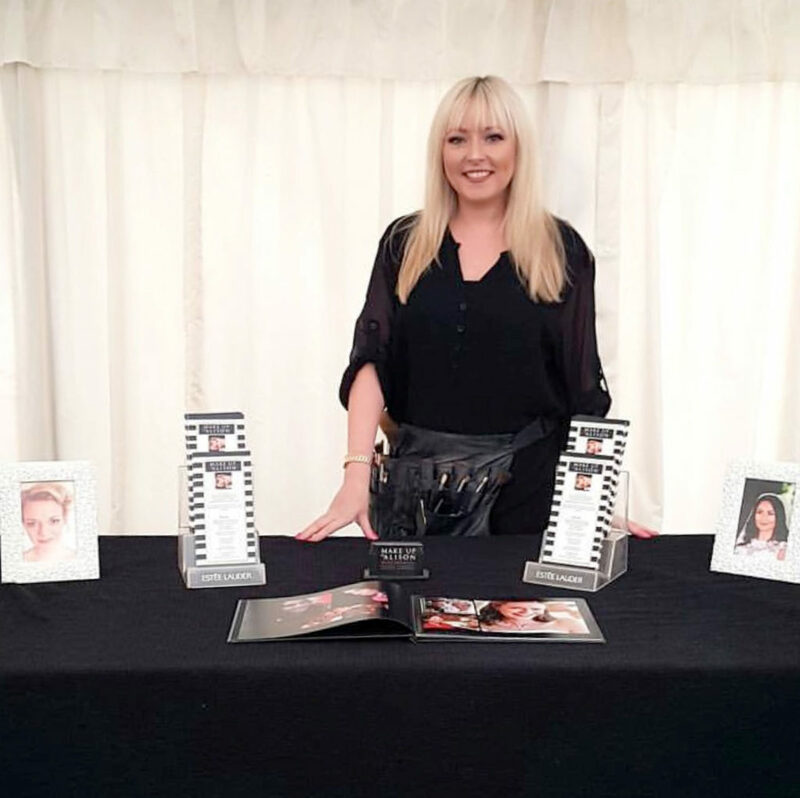 A professional make up for every occasion, with over 10 years experience and a profound knowledge in the make up industry, Alison is sure to be the right make up artist for you. I am a fully insured mobile makeup artist and have worked in the Industry for over 10 years specialising in Bridal Makeup. Since experimenting with makeup in my teenage years to honing my skills in my 20’s to now and being in my 30’s, the passion has never gone away. I qualified in Fashion and Photographic makeup and Theatrical and Media Makeup when I turned 20 years old. Over the years I worked for lots of different makeup brands inc Estée Lauder, MAC Cosmetics, Lancôme and Elemis between 2000- 2013. This was in London, Cambridge and even went as far as Sydney one year! During this time, I had on going training and really perfected my makeup skills. got Married in 2017 (picture of myself shown here)so I know what it’s like to be a Bride! I have a Beauty Room in Cambourne now where you can have your Bridal Trial or I can travel out to you. I offer Eyelash Extensions, Facials, Eyelash Tint and Highly Defined Brows as other treatments, great for day to day life, holidays and special occasions. 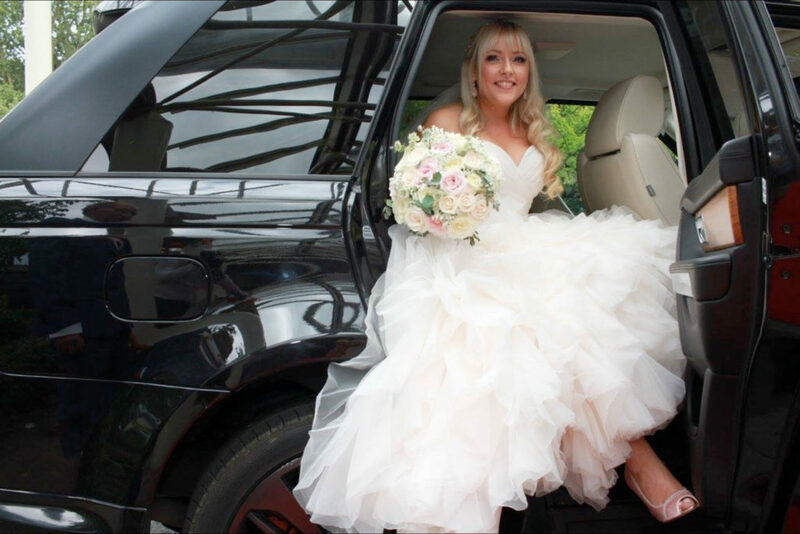 I am a fully insured mobile makeup artist and have worked in the Industry for over 10 years specialising in Bridal Makeup. Since a little girl I have always had a passion for makeup, I was even voted Best Potential Makeup in year 9 haha! I qualified in Fashion and Photographic makeup and Theatrical and Media Makeup when I turned 20 years old. Over the years I worked for lots of different makeup brands inc Estée Lauder, MAC Cosmetics, Lancôme and Elemis between 2000- 2013. This was in a London, Cambridge and even went as far as Sydney one year! During this time, I had on going training and really perfected my makeup skills. I got Married in 2017 (picture of myself shown here ) so I know what it’s like to be a Bride! I have a Beauty Room in Cambourne now where you can have your Bridal Trial or I can travel out to you. I do also offer Eyelash Extensions, Facials and Highly Defined Brows if you would like some extra treatments in the run up to your special day. In the past I worked for various fashion shows including Fashion Rocks and during London Fashion Week. I regularly work with other wedding suppliers on photo shoots including Boudoir, Commercial and Editorials projects. I have vast Wedding Makeup experience having worked with hundreds of brides and I understand that every bride wants to look and feel radiant on their Special Day. I can do edgy and contoured makeup through to the natural classic look, we will find the right look for you together. I just want to say a massive thank you for the wonderful job you did of my make-up and nails. Everyone commented on how lovely my make-up looked, it looked amazing. I have seen many photos from family and friends, our professional ones will be ready soon but just by looking at family & friends photos I could see how much of an excellent job you did for me, so THANKS! I can't recommend Alison highly enough! She did my wedding day make up for myself, two bridesmaids and my mum - we received so many compliments all day and the make up stayed looking beautiful all day, through crying, dancing and a lot of greeting guests! Alison is friendly, professional and a very calming influence - she also took each person's individual requests on board when doing the make up which was much appreciated. Thank you so much! Thanks again for the fantastic makeup you did for us in August we were over the moon with the results. So pleased in fact that we would like to book you in for a make up lesson if that would be possible. Thanks again and look forward to showing you all of the pictures from the wedding! Just wanted to say thank you so much for the time you spent making me up, I really did feel like a princess and had an absolutely perfect day. Colin’s first word when I reached him at the top of the aisle was “wow” and I will never forget that. I felt like a million dollars and everyone complimented me, my bridesmaids and my beautiful Mum on our make-up and nails. Thank you so much for the manicures and makeup. As soon as we had come for the trial, i had no doubts in your ability to do wonderful makeup on the day. Sorry it has taken me so long to get back in touch with you, but post wedding sorting appears to be as hectic as pre wedding planning! Thank you so much for the work you did on our make-up and nails on the morning of our wedding. Everyone commented on how nice the make up was considering none of us ever really wear any make up!!!! I Hope your summer continues to be busy and thank you once again for thr fantastic job that you did. Hi Alison! It’s Holly Adams here, you did my make-up for me in August for my wedding! I hope you are keeping well? I was wondering if you could tell me what the lotion was that you put on before applying the make-up to calm my skin down, I would really like to get some, I though it was fantastic! I just wanted to say an enormous thank you to you again for doing a wonderful job with my make-up on the day! I was so pleased with it, big, big thanks! Looking forward to hearing from you soon. I just wanted to say thank you for doing mine and my sisters make up for my wedding at Downing College. You did an amazing job and we’re both really pleased with the way we looked. What’s more, you were so calm and professional, exactly what’s needed before a wedding. We were so impressed, not only by your skills as a make up artist but also by your attitude and professionalism. So, very many thanks once again. Alison did make up for myself, my maid of honour, my bridesmaid, my Mum and my 2 flower girls for my wedding in August. Alison was absolutely fantastic both on the day and during the trials. The make up she did on my wedding was beautiful both in the photographs and in “real life” and lasted the whole day. I would have no hesitation in recommending Alison for any occasion - my sister has already booked her for her wedding next year. Thank you so much for making me look so beautiful on my wedding day. I felt incredibly special and my Husband looked very pleased too! You are uber talented and extremely down to earth…a winning combination. A great big thankyou for the amazing make up on Friday, everybody was telling me i looked 10 years younger and so healthy looking. I will contact you soon to book a make up lesson. Thanks for making my daughter look even more beautiful then she does. I wont hesitate to use you again and i will recommend you always. Take care.